For those who prefer boats to bikes, the Bonelli tent is a real bull’s-eye. The waterproof dry bag, which is included, will reliably protect you from all pitfalls of travelling by water. In short, Husky thinks of everything. The Bonelli is mainly designed for water travelers, but is also more than usable on hiking trips or just for good old regular camping. 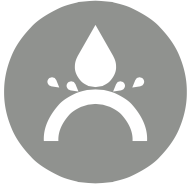 The Bonelli tent is intended mostly for paddlers. This tent is supplied with water-proof sack that will protect the tent on your boat journey. 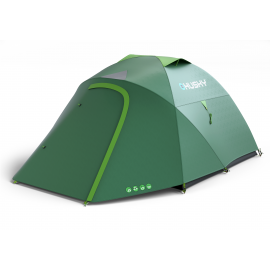 The Bonelli tent is a double-skin tent with 7,9 mm durawrap poles. The outer tent is made of 185T Polyester with 3 000 mm/cm2 PU coating and taped seams. 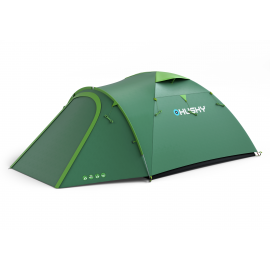 The inner tent is made of permeable Nylon 190T with a mosquito net for better air circulation. 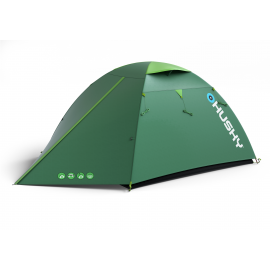 The groundsheet is made of 190T Polyester with 6 000 mm/cm2 PU coating. The tent pegs are made of steel. The Bonelli is mainly designed for water travelers, but is also more than usable on hiking trips or just for good old regular camping.